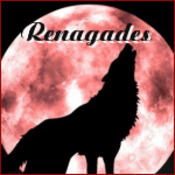 This is Renagade's - offering music on Vinyl Records, Cassettes, and CDs, Biker and Military Patches, and Sci Fi and other Collectibles. I have been selling online since 2001. I also can be found on eBay as renagade_1 my store at: http://stores.ebay.com/renagadesrelics and I have a 100% feedback rating. I will work hard to make sure you are happy! Some of my items are vintage - secondhand - or otherwise used! Can not guarantee no odors, smells etc although all items are cleaned and packed with care away from odor causing culprits. I have always tried to be friendly and helpful...so if I can Assist you in anyway, please do not hesitate to contact me. Customer Service is always TOP priority with the Renagade. Thank you for your visit...and please check out my booth details for all the information on shipping, grading of records, etc. Music is my passion-my life-my business! PS...below are some truly great people ...if you deal with them, you will be treated right! renagade doesn't have any items in their booth! Susan is one of the best e-commerce sellers I know. Very professional and consistent, her knowledge on music is outstanding and she delivers the best music in the business. Her indie bands are selected with an ear for quality and variety. Her dedication to her customer goes beyond caring. Buy with 110% confidence here. Great heart. Extreemly helpful to me. Has helped me quite a bit, cause I’m really technically a stumbling geek. When you buy from Renegade, you’re buying from the best. Friendly, professional, guaranteed! She really, really cares about her customers, and what she sells. She is a great gal. Know Renagade from another selling site, now Bonanzle. A stellar seller and person that brings wisdom and knowledge to other sellers. She never spares a moment to promote Bonanzle in the most positive light. Definitely a seller to follow. What she brings to fellow sellers, also extends to her customers – 200% plus. Thanks! What a down to earth person and I love her 3 foot rule. Great seller, great person!! One of the best!! Very helpful when you have a question. Goes out of her way to be caring. Good seller. You’ll be glad to deal with her in anyway. Good luck with sales and keep listing! One of the BEST of the Best. Customer Service is 100%. Trustworthy , Honest and goes that extra mile to make the deal Right. Highly Recomended to All. It’z alwayz great to find a ‘Renegade’ az you journey the net. Excellent booth! I just wanted to say thanks for helping me get started on Bonanzle you were alot of help. I have great respect and look up to this member…I am so pleased to have Susan be a part of the Bonanzle community….An Ernie favorite. I have never met a person that is so highly energized and committed to the success of a place like this, as Renagade is. I have done business with her, and you can trust her all the way. She could not be a better person, or more caring. She is an asset to our community. My first purchase on Bonanzle was from this Seller. I was much impressed by her professional customer service and her items. I recommend her as an outstanding Bonanzle member. OOOOOHHHHHH……I couldn’t be more Tickled! She’s goes way beyond the Extra Mile! Thank you SOOOOOOOOOOOOOOOOOOOO Much Renagade! Until recently Fort Payne, Al. was famous for producing the “mega watt” country music band “ALABAMA”. Now they must add to their list, a BONANZLE “mega watt” named “RENAGADE”. For all that you do, us little kilowatts are grateful. renagade is a great person, always has time for you. Highly recommended. Renegade is a great gal and a wonderful and caring seller. You can trust her with your business. Nice to see another highly recommended seller on this site. Good luck with sales. Great seller…and all around good person! You won’t be disappointed!